If you are lucky enough to be at the Four Seasons Hotel in Canary Wharf, then be prepared for a pleasant coffee surprise. 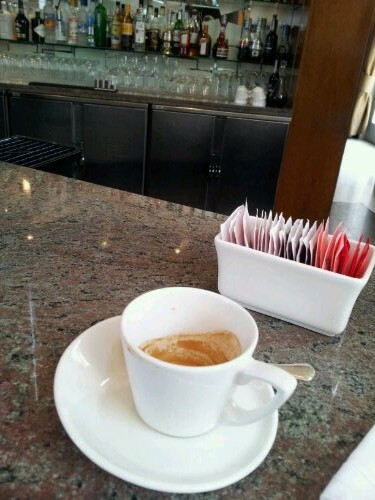 The bar in the main reception can make you a fabulous ‘ristretto’ style espresso – ask for Cataldo, the Sicilian-Canadian barman if he’s available. The coffee is thick, short and strong, so you’ll probably want to ask for a glass of water to help wash it down.